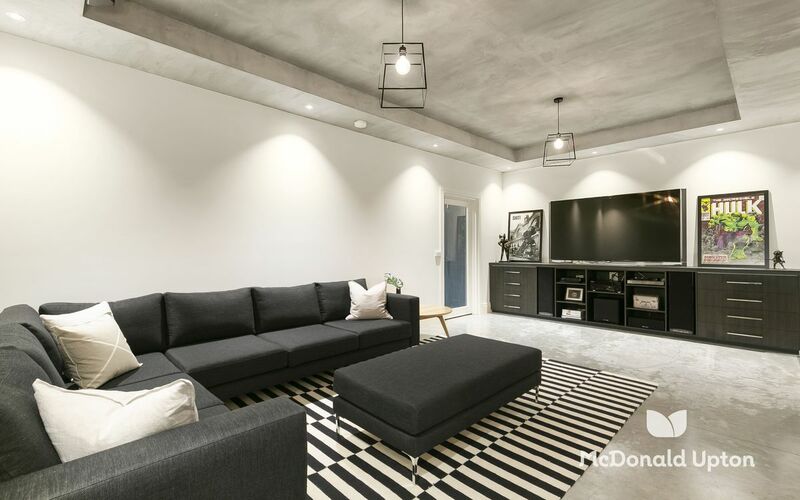 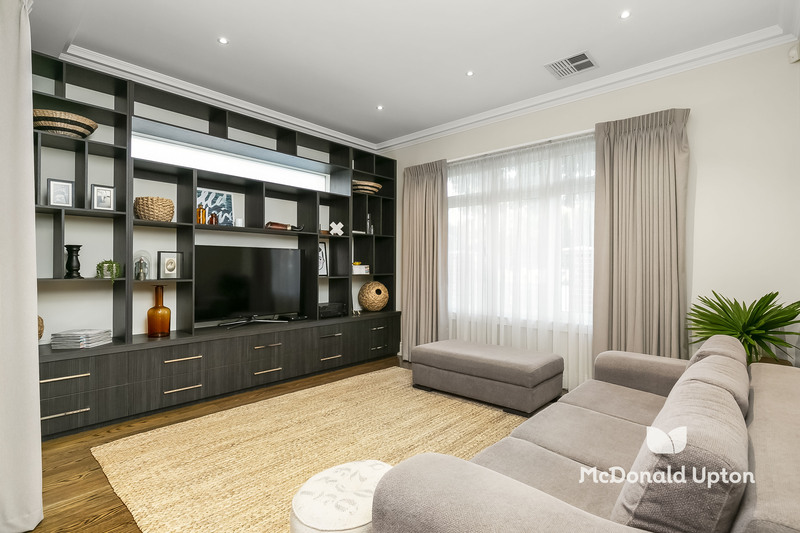 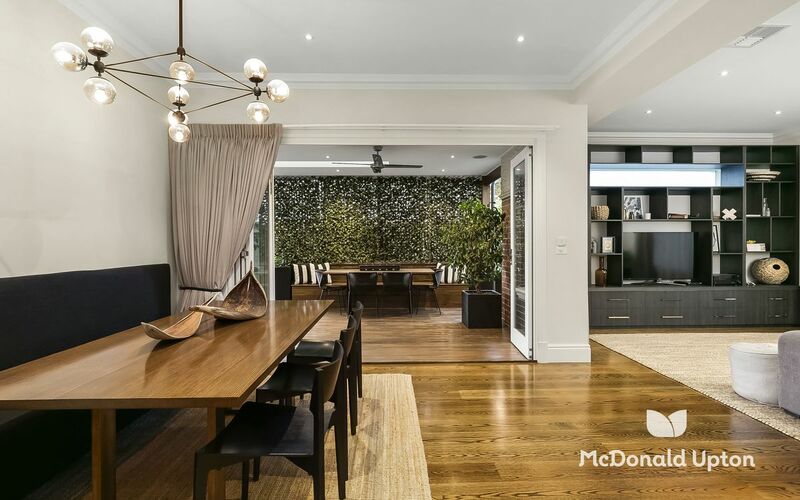 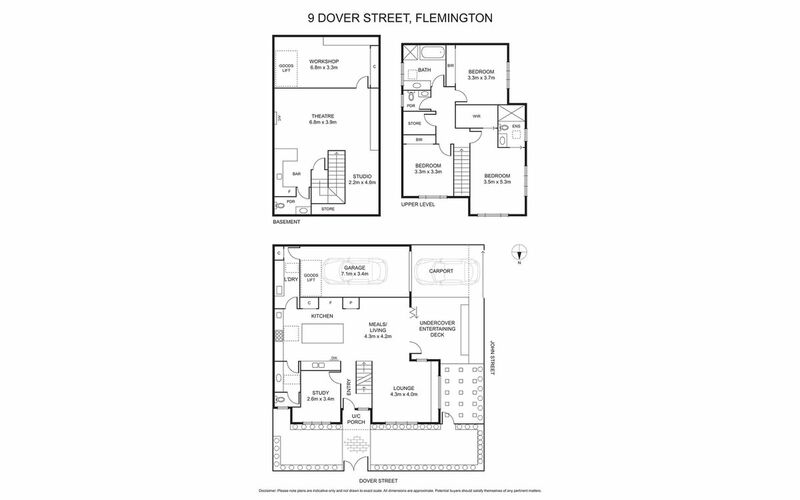 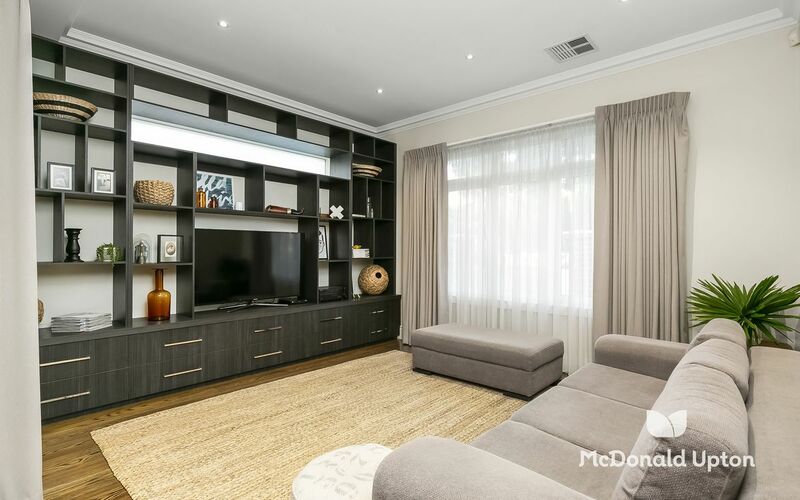 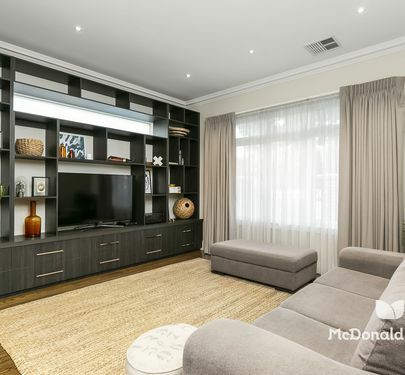 Ideally situated on a north-facing block in one of Flemington's most attractive tree-lined streets, this near-new contemporary home will surprise and delight with its stylish indoor and outdoor living spaces, unique design characteristics and attention to quality and detail. 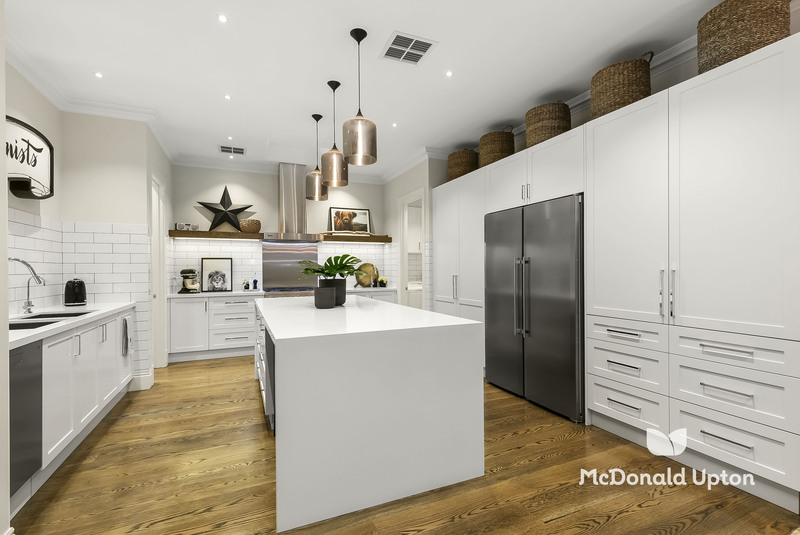 Immaculately presented over three levels, it boasts a spacious ground floor with American Oak floors, encompassing a home office on entry, separate open-plan living and dining, beautifully-appointed entertainer’s kitchen with island bench and a separate laundry with extensive storage. 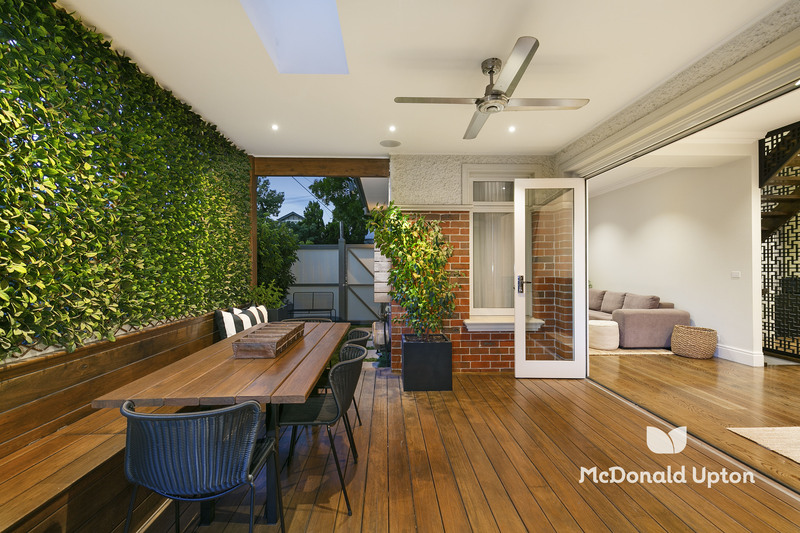 Bi-fold doors open from the dining room to reveal a private deck/courtyard and flowing indoor/outdoor entertaining space. 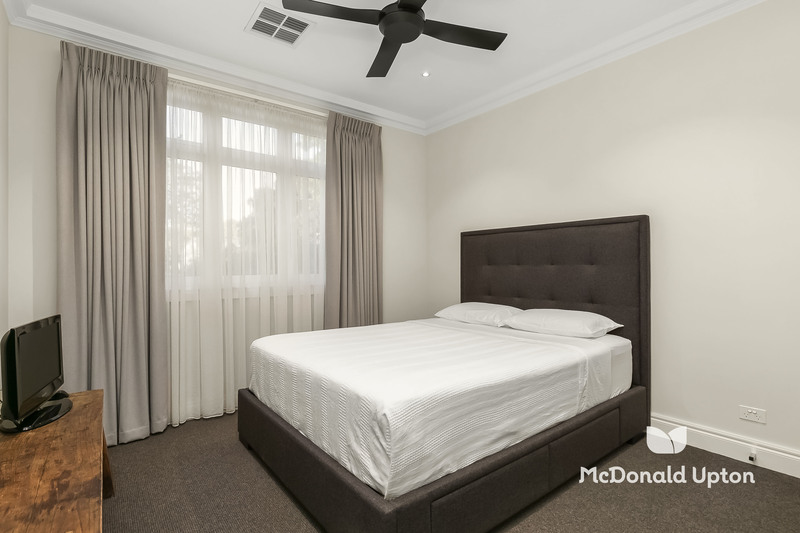 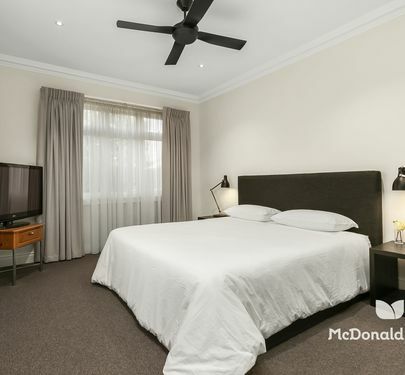 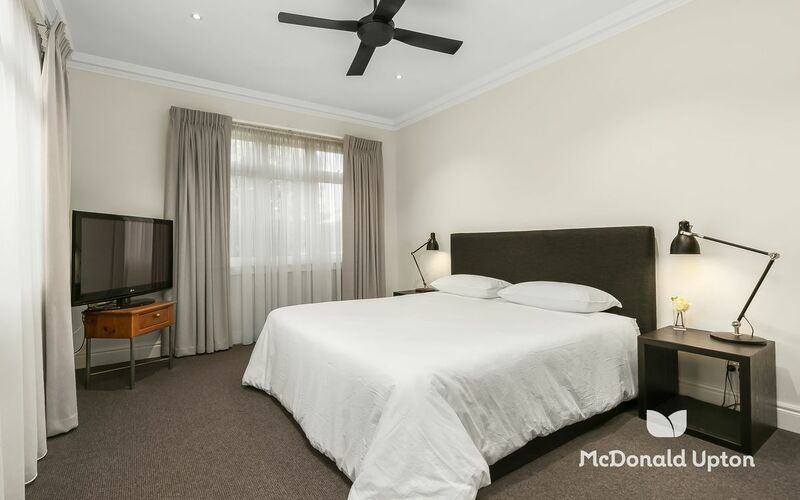 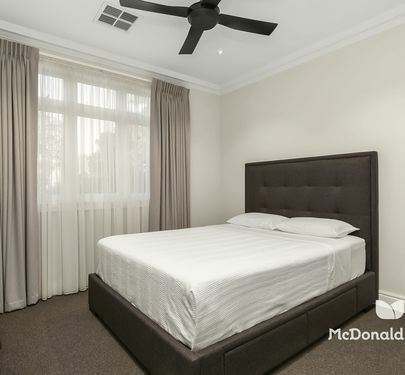 The superb first floor hosts three large bedrooms, all with wool carpet, robes and ceiling fans, while the master bedroom is a lesson in luxury itself, complete with a large ensuite and walk-in robe. 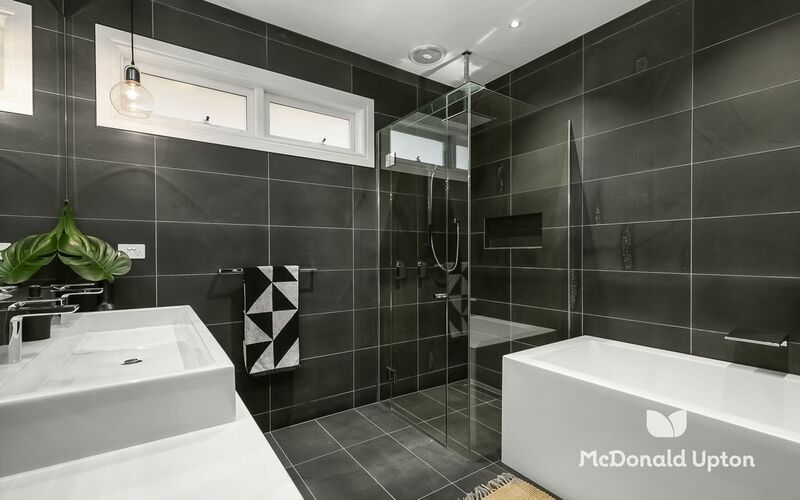 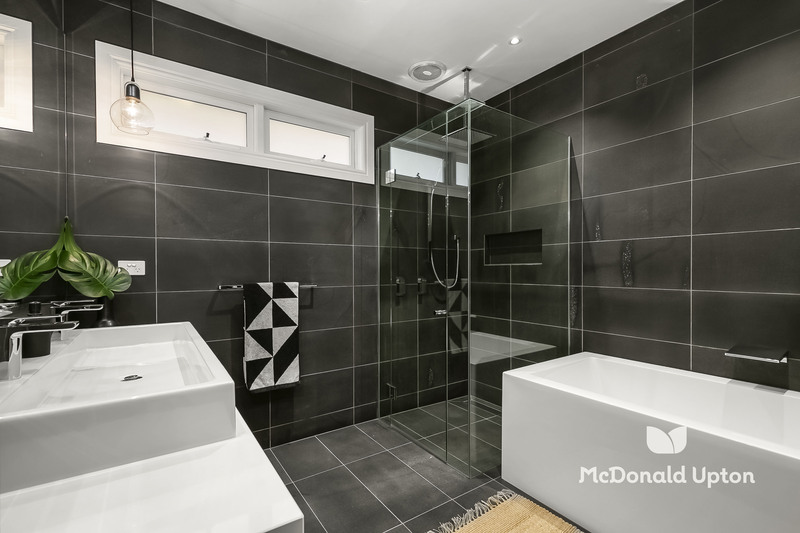 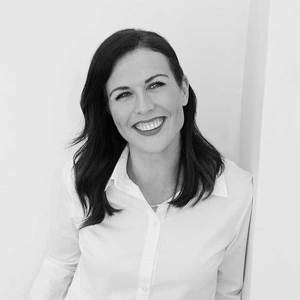 Both upstairs bathrooms feature honed bluestone floor-to-ceiling tiles and waterfall shower roses, with the central bathroom also boasting a large freestanding bath, convenient double trough basin and separate powder room. 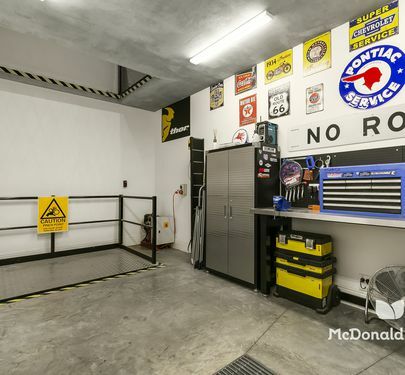 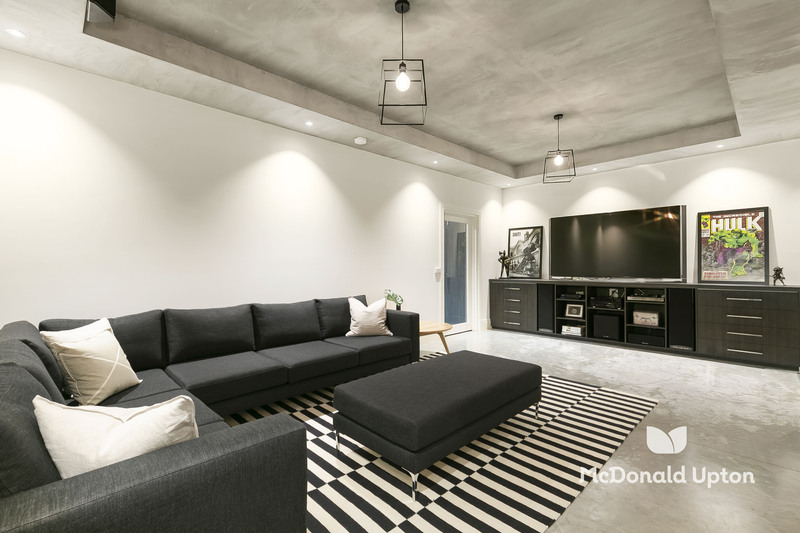 There’s nothing stock-standard about this extraordinary home, and the huge basement below ground is a perfect example of that. 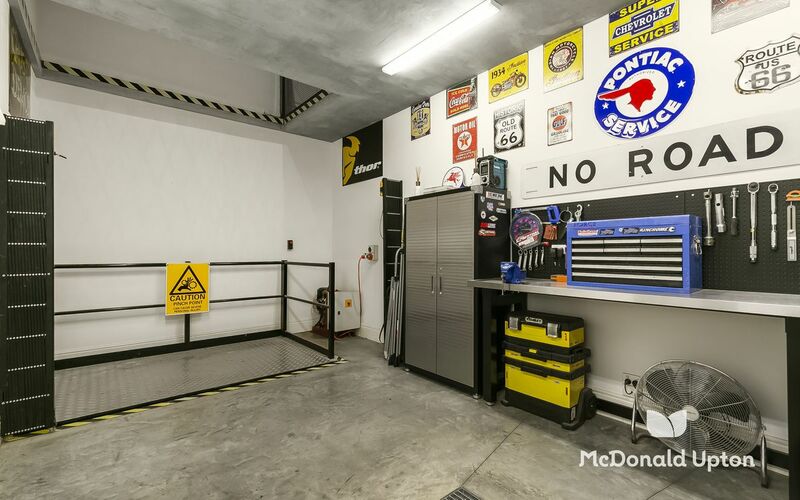 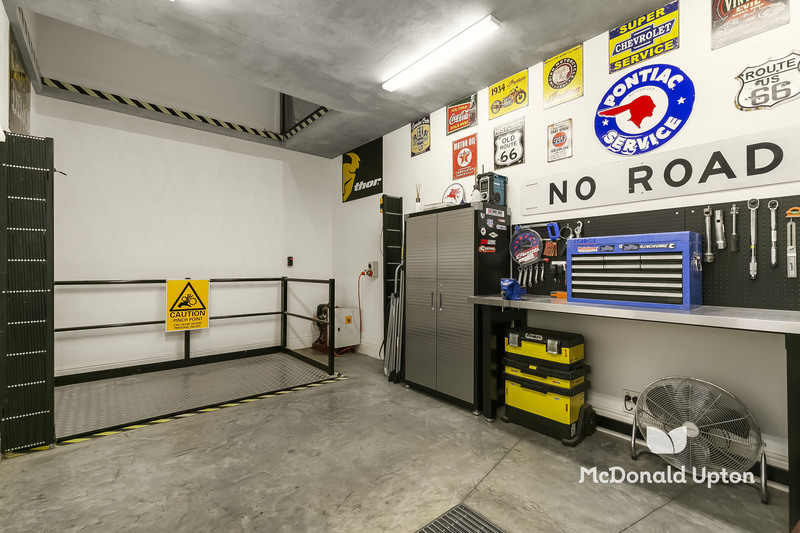 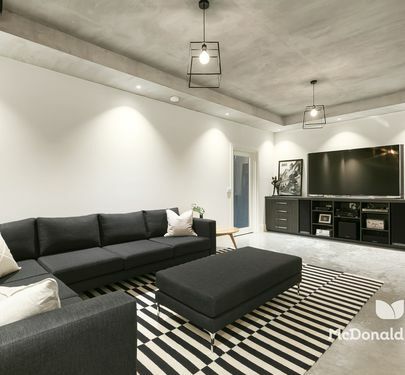 Designed with versatility in mind, there is ample space for a home theatre, plus corner studio space and separate workshop with 2-tonne goods lift from ground level. 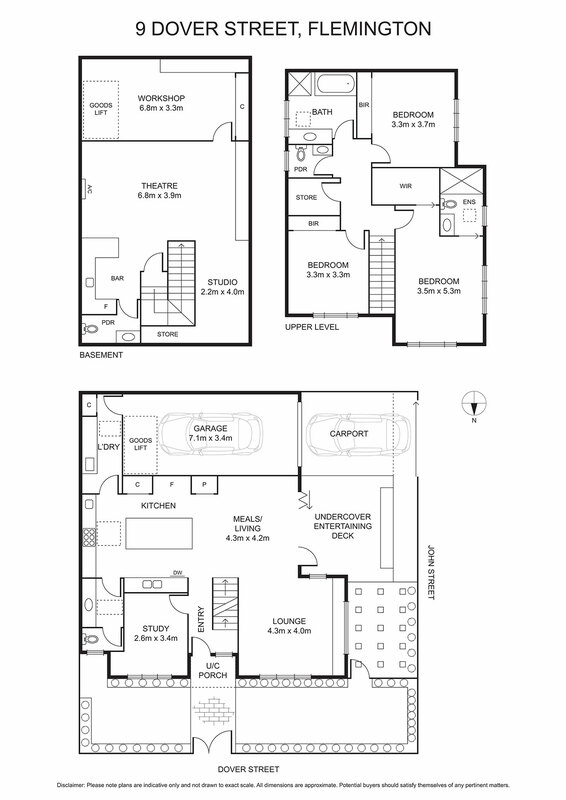 Fitted with a kitchenette/bar, powder room and heating/cooling it’s ideal for both business and pleasure purposes. 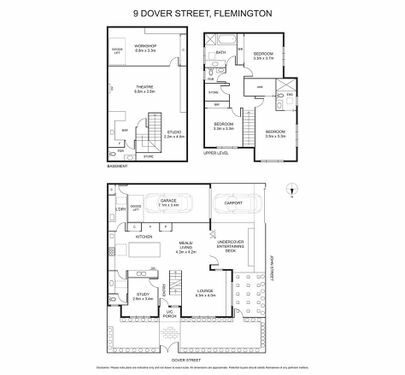 The list of quality features and inclusions is almost endless, with high ceilings throughout, ducted heating and refrigerated air conditioning, premium kitchen appliances including Ilve oven, ground floor powder room, double-glazed windows, soft-close cabinetry, security system, video intercom, continuous gas hot water, fixed and opening skylights, extensive built-in cabinetry and storage including walk-in linen closet, sprinkler system, water tank below ground and secure parking for two cars. 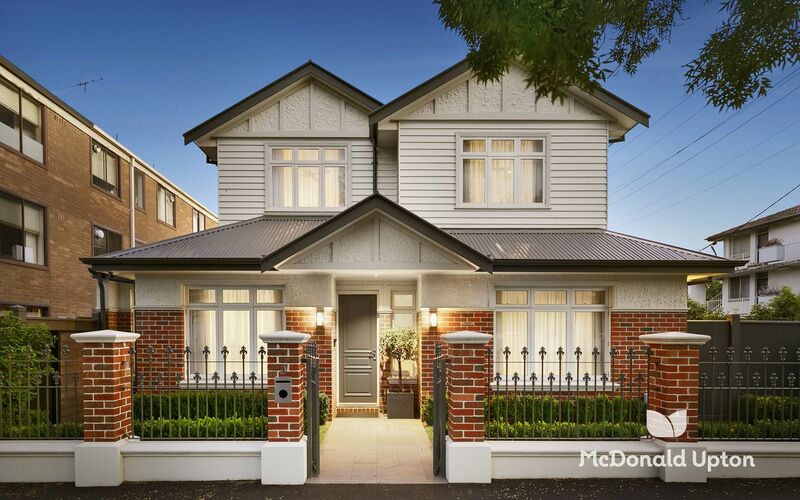 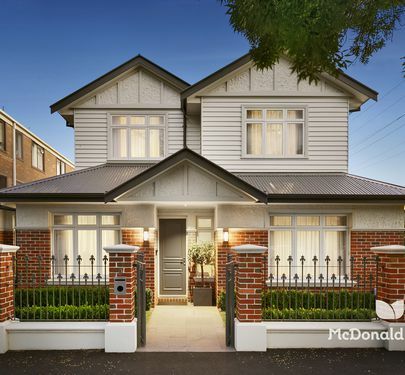 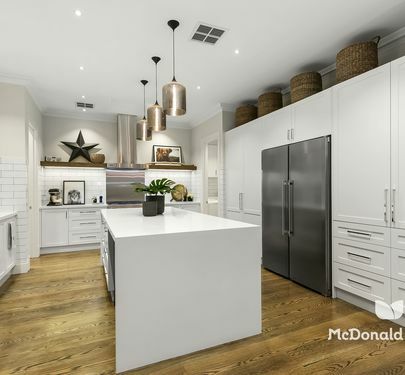 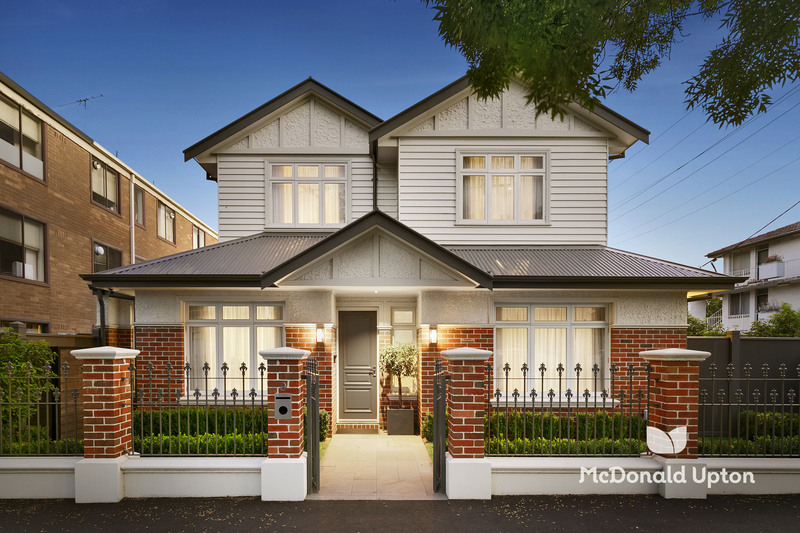 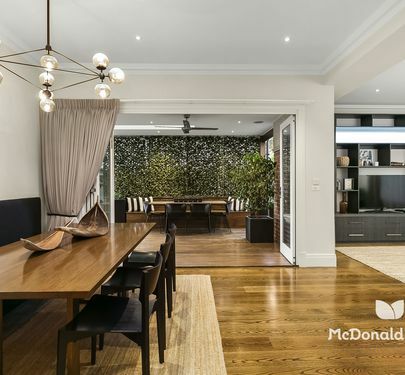 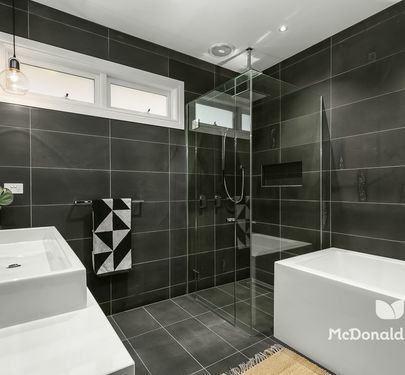 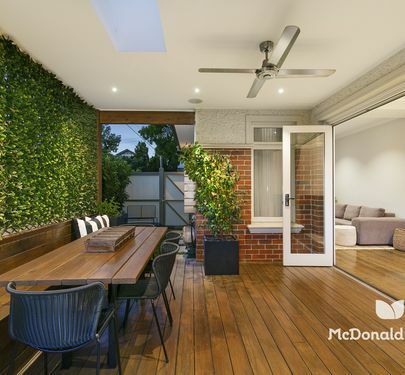 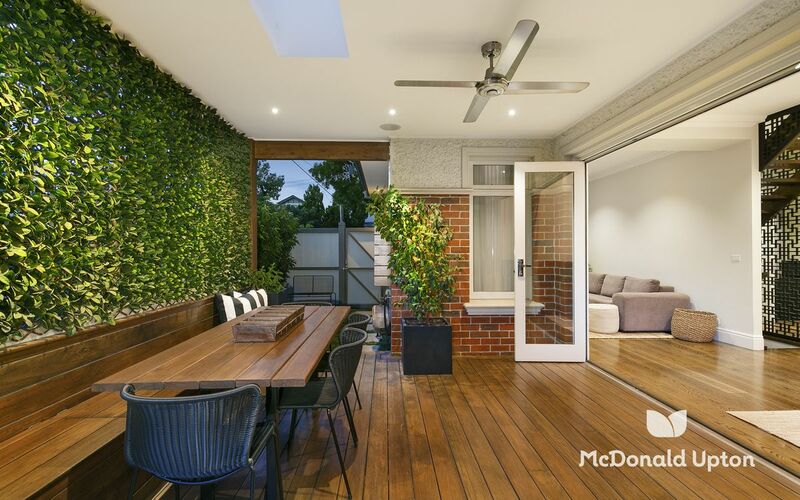 In a quiet and convenient pocket just moments from city trains and trams, it also offers great access to local parks and primary schools, making this home the complete package: lifestyle, location and liveability.